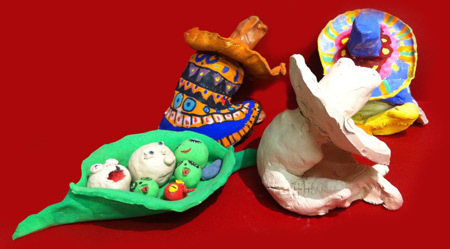 Have a party with a difference where everyone will end up with their own sculpture as a memento of the day. Fun with Clay parties offer a unique way to celebrate your child’s creativity, and with Lucky’s expert guidance your guests will be making masterpieces in minutes. The party lasts for two hours where your guests will get a chance to sculpt with modeling clay after which it will be fired in the kiln. The firing and drying process takes two weeks, so guests are asked to return for their sculptures or book a session with Lucky to paint and finish off their creations.